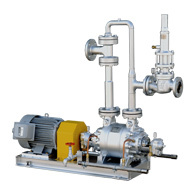 Low filling head, ejector-type pumps recover high-temperature condensate without cavitation. Large quantities of heat can be recycled when high-temperature condensate is recovered to the boiler. Recovery is possible with a minimum filling head of 1 m (3 ft), requiring a minimum of space for the equipment. The control panel is designed for automatic operation, eliminating the need for manual valve operation. 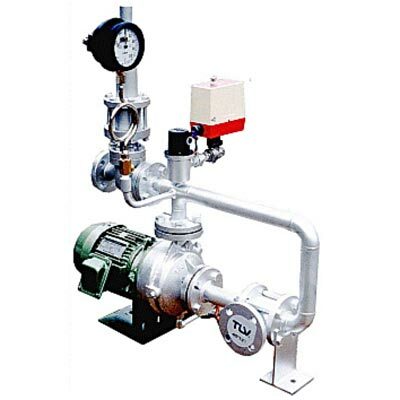 Does not require a pressure vessel, so there is no need for notification to pressure vessel regulating authorities. The ejector system prevents cavitation and prolongs the life of the pump. Recovery of condensate from steam equipment and transport to boilers and condensate tanks.